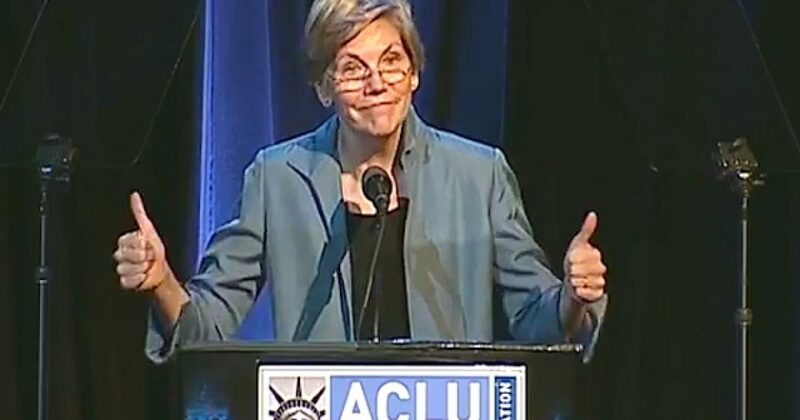 Elizabeth Warren has built a nice fake life. The woman who achieved success in life pretending to be an Indian was dealt a body blow when her crooked “friend” Hillary Clinton didn’t break the glass ceiling. And despite the old worn out Democratic Party playbook failing repeatedly to stop Trump, don’t think the Dems are ready just yet to give it up. They have always called us “racist”. It appears however the new term du jour is “white supremacist,” which is all the rage with the bourgeois Leftist elite. Watch here as Warren gets held to task by fellow Leftist Anderson Cooper, as she accuses Steve Bannon of being a white supremacist. Ya gotta be really full of it if Cooper is calling you out. Warren ignited the encounter by accusing Stephen Bannon, Trump’s incoming chief strategist and senior counselor, of practicing the racist ideology. In the old days and with people who actually cared, to be called a “white supremacist” or a racist of any kind would have had any Republican running. Not anymore. The Left now laments that crying “racism” has become the newspaper at the bottom of the bird’s cage. No more “repeat the lie long enough and it becomes truth,” as Alinsky is toast. Don’t believe me? I suggest you ask Hillary Clinton. Clinton tried repeatedly to tie Trump to racism. She acted as if Trump and David Duke were weekend golfing buddies. When the Duke tactic failed, Clinton tried to tie Trump to a new group: the alt-Right. Most people looked for that on their computer keyboards. In fact, that worked so well, the media has begun pulling it back. Regardless, Trump is a new kind of president, impervious to such trivialities. Moreover, the people surrounding him are equally as fearless, and they also have the skin of the rhinoceroses. So calling them “white supremacists” equates to smiling and waving at them. For many Conservatives, ignoring the taunts of the racist Left offers good sport. Then, turning the taunts back on Leftists and calling them racists seems to really set them off. So, America enters a new dimension, aka the pre-Obama dimension. We now get to witness the (good) tragedy of Leftists trying the same old same old. Watching them crash and burn has made rubber-necking sadistic. Warren has parlayed the Indian schtick into far more than her very white parents would have dreamed. The real white supremacist stole an identity, and wants to point the finger at Steve Bannon.